If you are considering filing a lawsuit in New York after sustaining an injury, you are not alone. With around 20 million people living in the Empire State – over 8 million in New York City – accidents happen every day. Although an injury cannot be undone, New York personal injury laws allow for accident victims and their families to be made whole again in the form of financial compensation, or “damages.” If you or a loved one was harmed and want to file a claim, read on to learn more about the legal process or speak with a knowledgeable New York City personal injury lawyer. 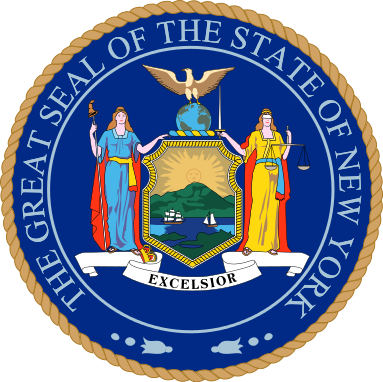 What Is the Statute of Limitations in New York? If you fail to file a complaint before any of the above windows close, the New York court system will most likely refuse to hear your case and your right to compensation will be lost. Because of this, it’s important to speak with a lawyer right away after an injury if you are considering filing a lawsuit for an injury of any kind. If you’ve suffered an injury, property damage, or any other form of loss, you may seek financial compensation from any party that caused or otherwise contributed to your losses. In the legal world, “damages” is the term for compensation. In certain situations, the court might award punitive damages. These are only given to an injured plaintiff when the negligent behavior of the defendant was reprehensible or despicable. The above is a general outline for all different types of negligence claims. However, New York follows a specific type of negligence law known as pure comparative negligence. This means that a plaintiff’s ability to recover damages is reduced proportionally by their share of fault. For example, if a person is in a car accident caused by someone else but was not wearing their seatbelt, then the damages the defendant pays would be reduced by the plaintiff’s own negligence of not wearing a seatbelt. Essentially, this system takes into account the fact that sometimes a plaintiff can be partially responsible for their own injuries. It is important to note that these are just the minimums and most drivers carry insurance that have higher liability limits. Although most people associate litigation with a high cost, almost all personal injury lawyers will offer to take your case on a contingency basis. This means that you only pay a portion of your winnings to the attorney if they win your case. The average percentage for contingency fee agreements is 33% but this can change depending on the specifics of your case and other costs you may incur along the way. If you have further questions about your lawsuit or would like to be put in contact with an attorney in your state, please reach out to us today.